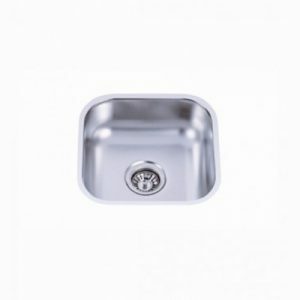 Add class to your kitchen with the PL-8221 Single Bowl Undermount Stainless Steel Kitchen Sink. Available with either a polish or satin finish, this kitchen sink was designed for style and versatility. This kitchen sink was made with 304 Grade Stainless steel. Get your kitchen sink for sale with Fiberpol and save more! Who says you have to spend an arm and a leg to enjoy a beautiful, high-quality sink in your kitchen. At Fiberpol, we are proud to say that we offer the best kitchen sinks in Barbados, and this single bowl undermount sink would make an attractive addition to any kitchen. This sink is made with 304 Grade stainless steel, and you have the option to get it in a satin or polish finish. Shop our kitchen sinks for sale with Fiberpol today!